“Krishna is in everyone’s heart. So Krishna has to satisfy so many prayers. The burglar and the thief and the householder — so many prayers. So Krishna’s adjustment… But He’s still… That is Krishna’s intelligence, how He adjusts. He gives everyone freedom. And everyone is given facilities, but still He’s in botheration. Therefore Krishna advises to his devotees that ‘Don’t plan anything. You rascal, you nonsense, you don’t give Me trouble. Please surrender unto Me. Just go under My plan; you’ll be happy. You are making plan, you are unhappy; I am also unhappy. I am also unhappy. So many plans are coming daily, and I’ll have to fulfill.’ But He’s merciful. Ye yatha mam prapadyante tams… (BG 4.11). So except the devotee of Krishna, everyone is simply giving Krishna trouble, trouble, trouble, trouble. Therefore, they are called duskrtina. Duskrtina, most miscreant, the miscreants. Don’t make any plan. 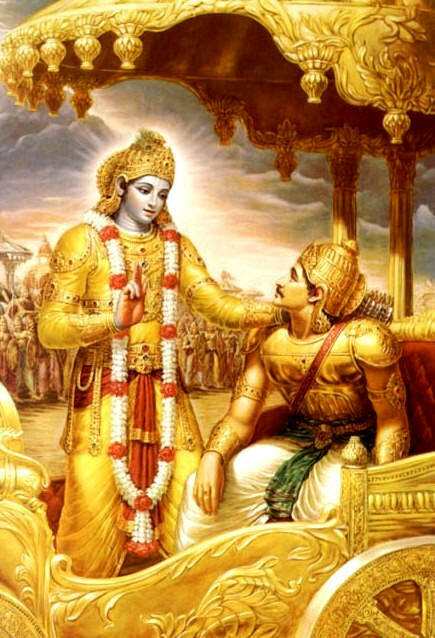 Accept Krishna’s plan. That will be simply giving trouble to Krishna. Therefore, a devotee does not pray even for his maintenance. That is pure devotee. He doesn’t give trouble to Krishna even for his bare maintenance. If he has no maintenance, he’ll suffer, fasting; still, he’ll not ask Krishna, ‘Krishna, I am very hungry. Give me some food.’ Of course, Krishna is alert for His devotee, but a devotee’s principle is not to place any plan to Krishna. Let Krishna do. Simply we have to do according to the plan of Krishna. So what is our plan? 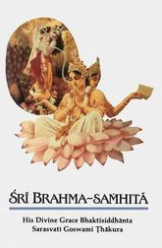 Our plan is… Krishna says, sarva-dharman parityajya mam ekam saranam (BG 18.66). Man-mana bhava mad-bhakto mad-yaji. So our plan is the same thing. We are simply canvassing for Krishna, that ‘You become Krishna conscious.’ We have to show our example, how we are becoming Krishna conscious, how we are worshiping Krishna, how we are going on the street for vibrating Krishna’s name, transcendental name. “So this abodha-jatah, this rascal civilization, whatever they are planning, whatever they are doing, that is simply defeat. He does not know what is the aim of life. They are being defeated. So this time, this life I have become prime minister, and making so many plans and so many things and so many things. Next life I become a dog. That you cannot check. Karmana daiva-netrena (SB 3.31.1). The God’s law, nature’s law, will not take account of your premiership, prime ministership. What you are actually — that is nature’s law. Krishna is there within your heart. Outwardly you become a very big man — minister, president and so on — and God is seeing within what you are. Within.Isvarah sarva-bhutanam hrd-dese ‘rjuna tisthati (BG 18.61). Within you are a dog, and outside if you are a president, that will not help you. That will not help you. Abodha-jatah.